Does your house need some new electrical wiring? Is the air-conditioner at your office not working properly? Is the fan in your living room making noises? If any of these is happening to you, you need a good electrician. Choosing a good electrician can be a daunting task. How do you know he or she won’t make matters worse? Worry not. At MMJ Electric, we have the answers you seek. Our firm strives to bring the very best in the field to you. Our President himself has 25 years of experience working in this industry. This family owned business has been serving clients all over Florida and specifically in Deerfield Beach, Fort Lauderdale, Tamarac, Lighthoust Point, Parkland and Sunrise for close to 50 years. It continues to serve clients with the same level of dedication it did when it began. Below are listed 3 points to help you hire an electrician. Have a look. The first and foremost thing to keep in mind is an electrician’s ability to provide quality work. He or she has to know how to provide the best that technology has to offer. Working with electricity is no joke. Only quality work can ensure the safety of your property. Just as no compromise is allowed with quality, so is no compromise allowed with the integrity of the electrician. He or she must work within the agreed upon budget and deliver on time. If he or she provides service on emergencies then this too they must deliver. Sloppiness cannot lead to good service. Nothing compares to experience. 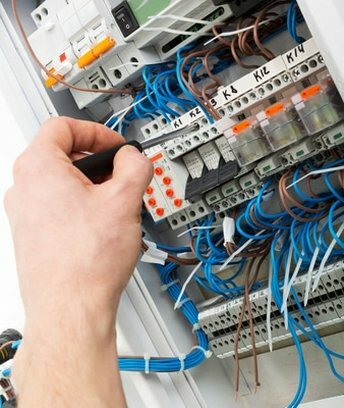 An experienced electrician will know by a simple, rudimentary analysis what is wrong with your house’s wiring or with an appliance and will know what will fix it best and quickest. So if you want to hire the best, visit our website or come by our office.